1. Remove and discard wing tips then cut wings at the joint creating two pieces. 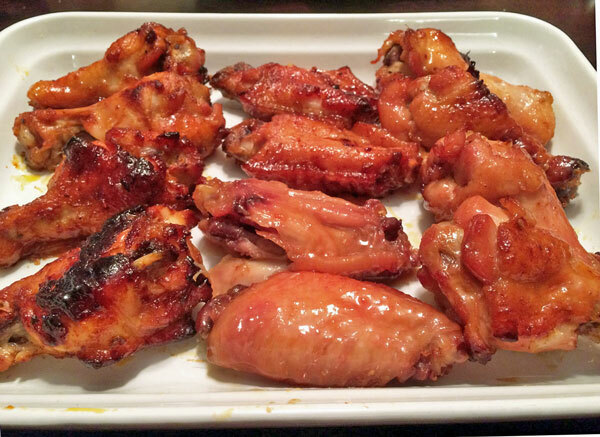 Place wings in a disposable aluminum-roasting pan. 2. Combine Pepper jelly, bbq sauce, and brown sugar. Pour over wings.